In these clips the historians featured talk about what teachers need to do to foster effective student learning. The emphasis is not upon the possession of subject knowledge or mastery of a set of techniques, but on the ability to work flexibly with students in ways that facilitate students’ learning. The teacher plays many roles – as performer, adviser, coach, counsellor, co-worker etc. – but, as these clips make clear, these demand sensitivity to the students in a particular class context and the ability to create an environment that supports active learning. 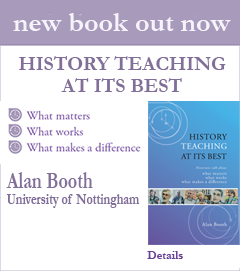 This is also emphasised in the clips in the section on Approaches & methods and those featured in Memorable teachers.